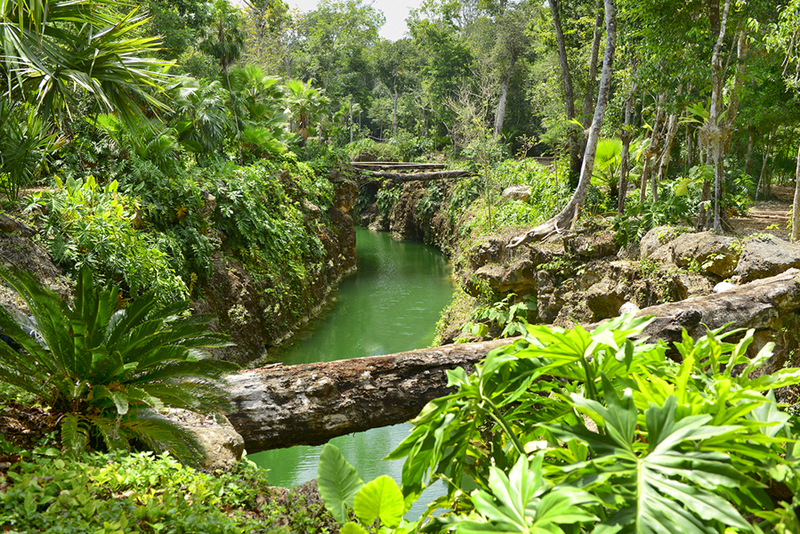 With Xenotes Oasis Maya Tour you will live nature at its best and enjoy incredible adventures. 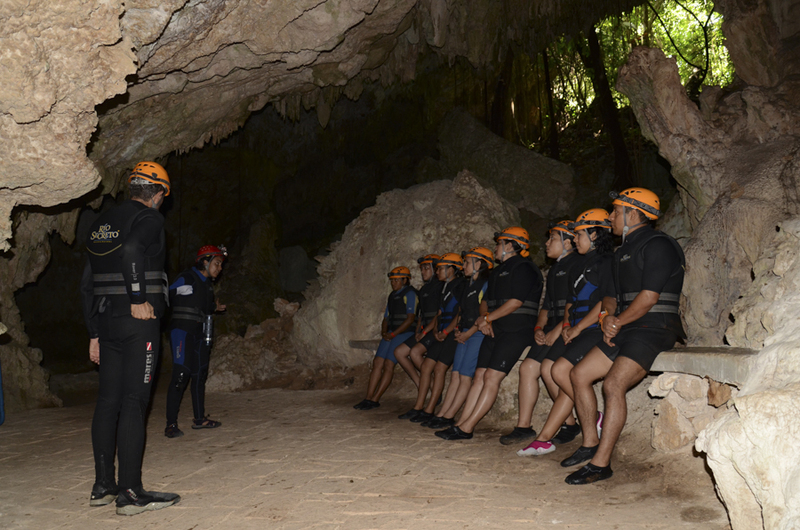 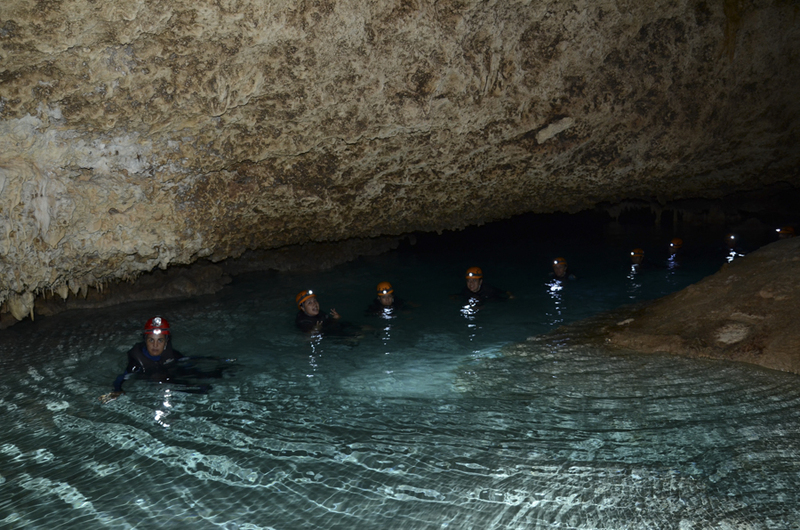 The adventure takes place in four different kinds of cenotes (underground rivers) protected by aluxes where you will be able to practice different activities such as Kayak, Zip-lines, Inner Tubes, Rappel and Snorkel. 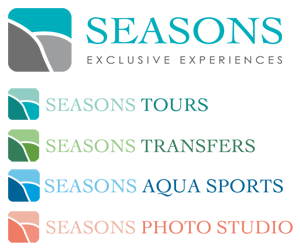 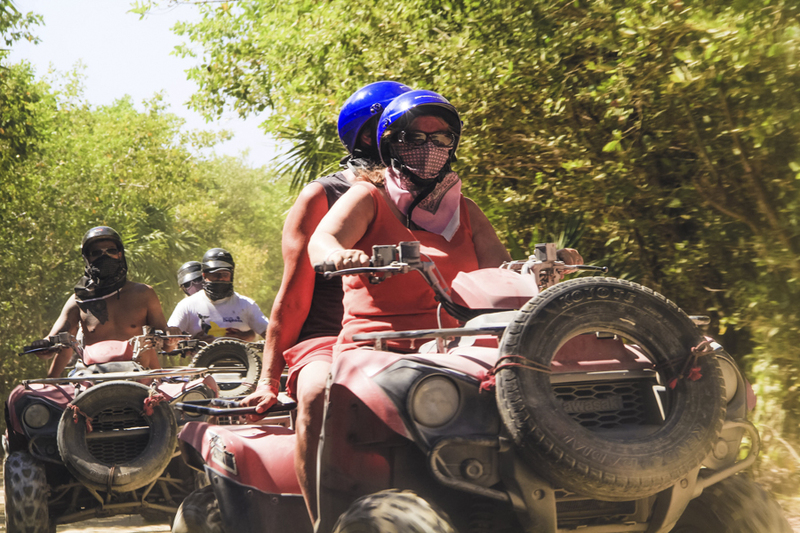 A personalized tour where our adventurers will be led by experts on this virgin territory and instructed on activities, history, anecdotes and legends of the region. 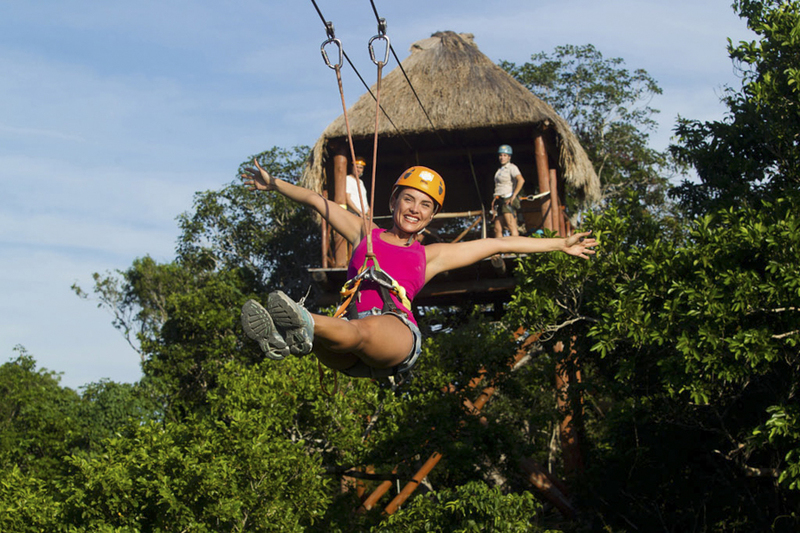 Fly over unspoiled Mayan jungle on zip lines and enjoy magnificent views, swim in underground rivers, ride an amphibious vehicle and raft through mystical underground waters. 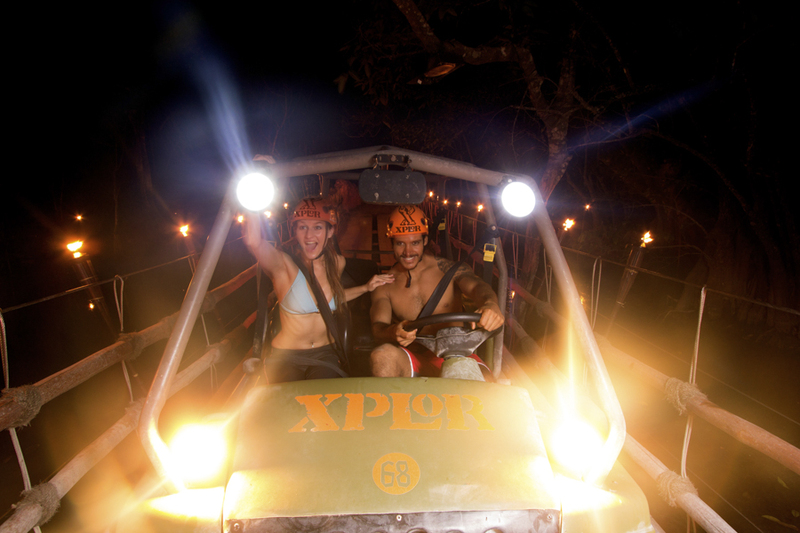 Experience Xplor the newest, hottest, coolest adventure park! 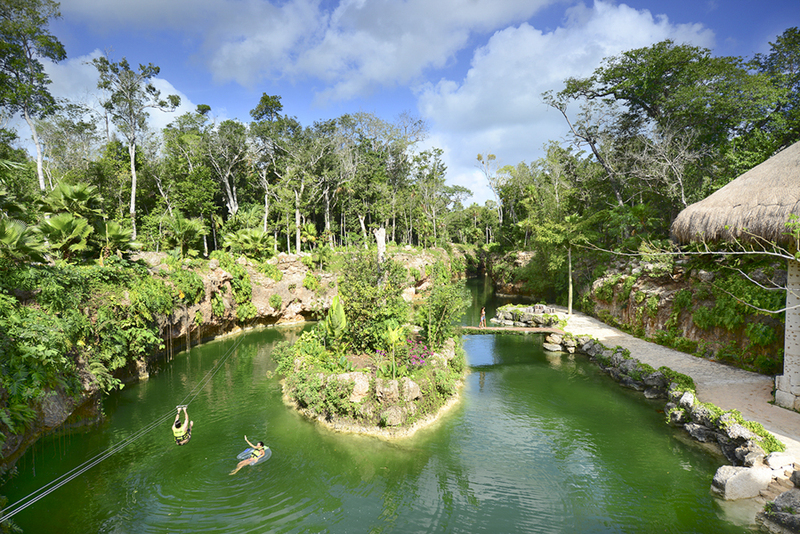 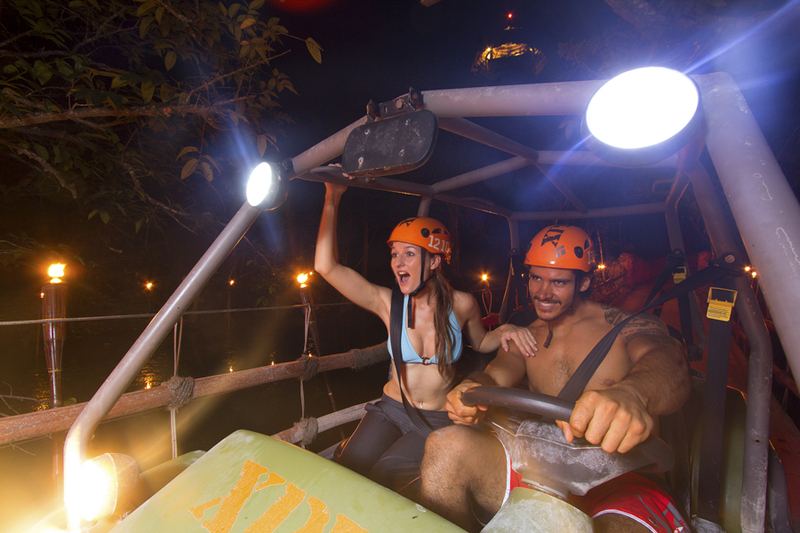 Xplor adventure park in Riviera Maya is a unique underground world with thrilling circuits that invite you to rediscover your senses and emotions within nature. 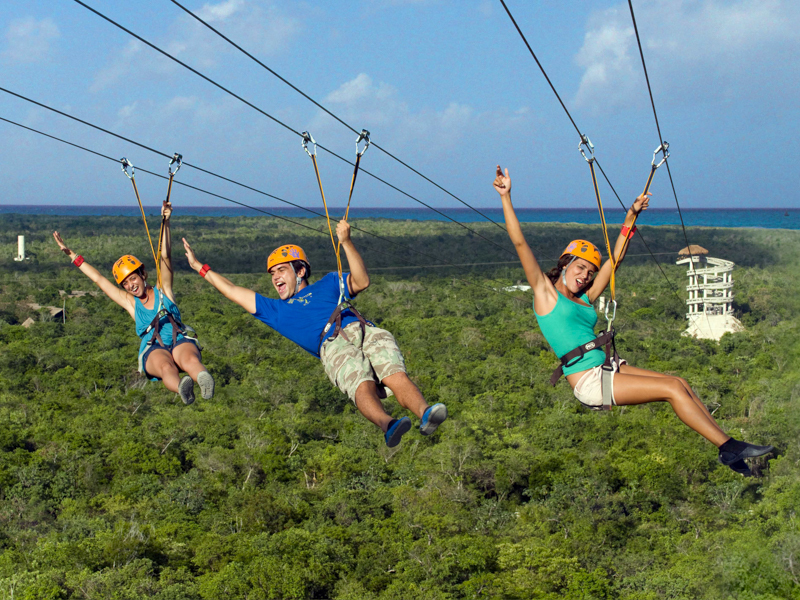 Enjoy the adventure while being guided from take off to landing. 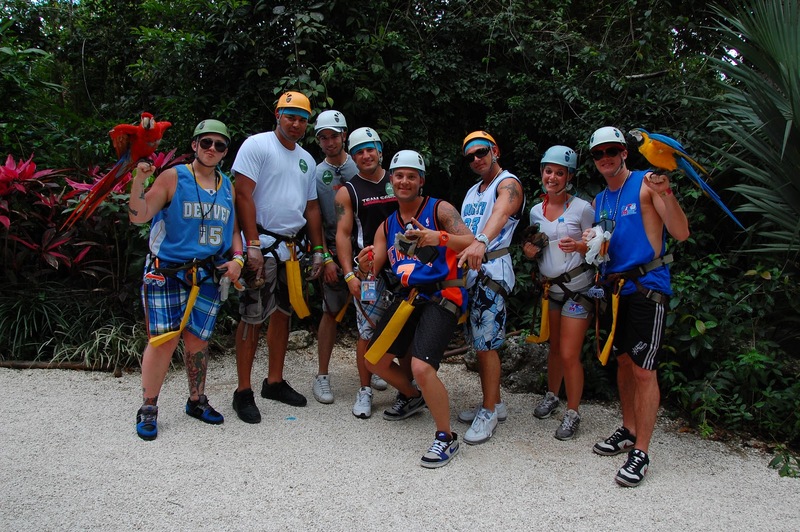 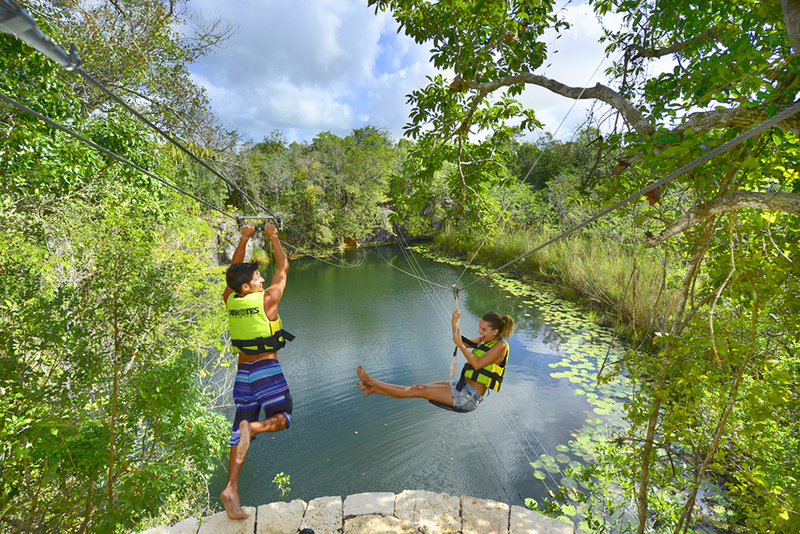 Fly over the jungle on zip lines with awesome views and refreshing water landings. 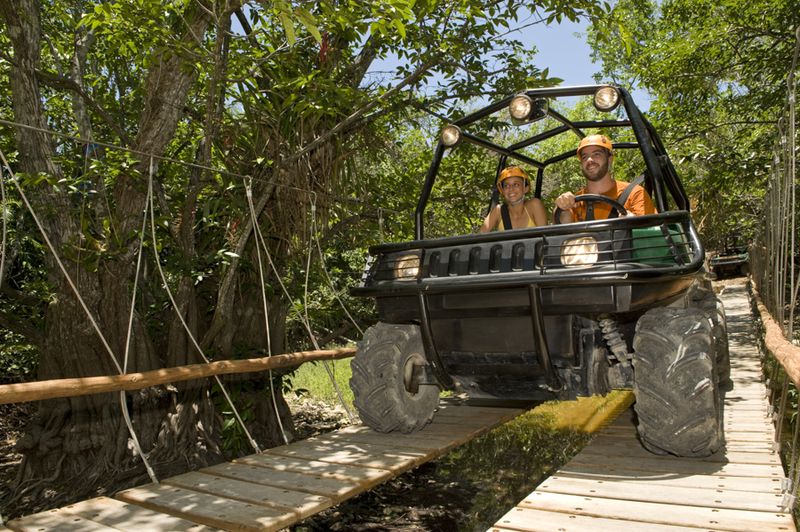 Later, take on a challenge crossing hanging bridges and exploring 3.11 miles of fascinating jungle pathways on amphibious vehicles. 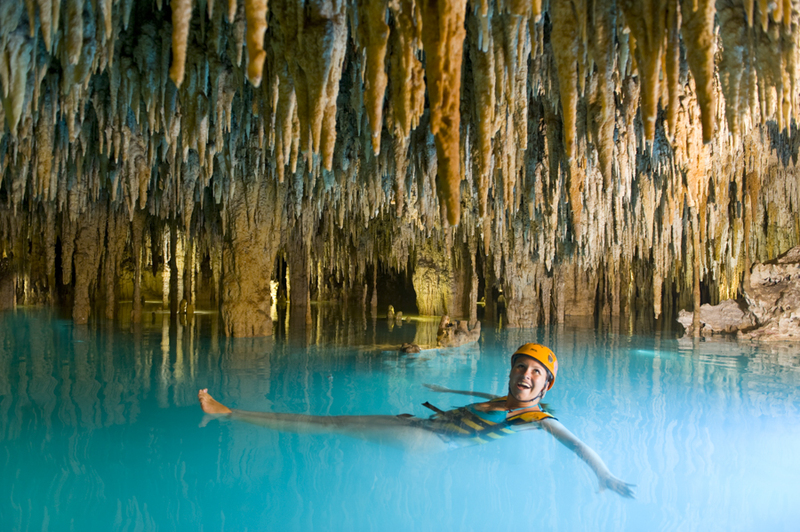 Explore an underground paradise where you can swim surrounded by magical stalactite and stalagmite formations, one of the most incredible scenery's of the Maya Riviera. 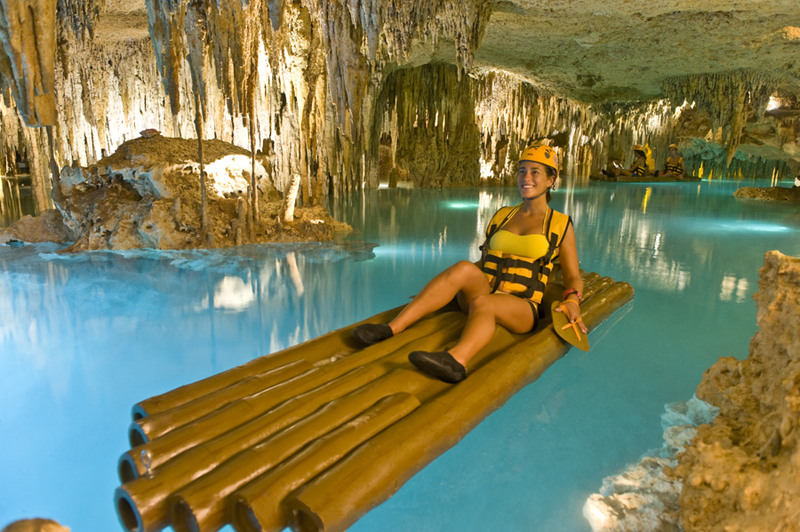 Discover a raft route and row across stunning subterranean caverns while gently paddling with your hands. 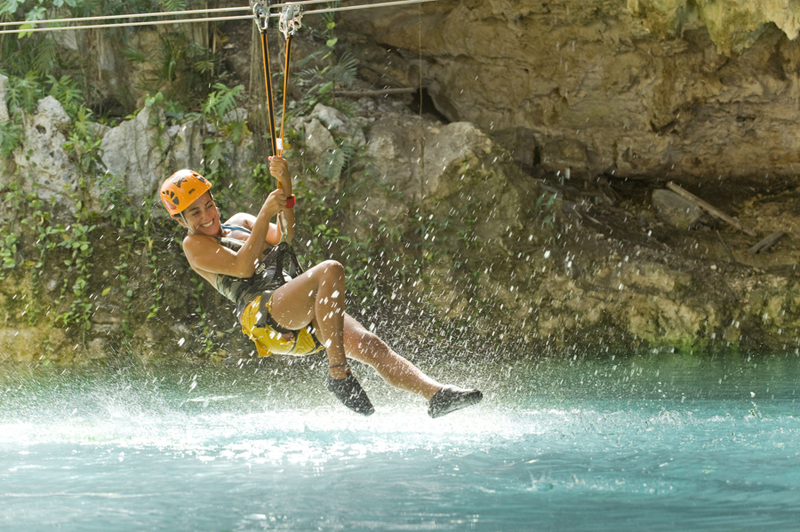 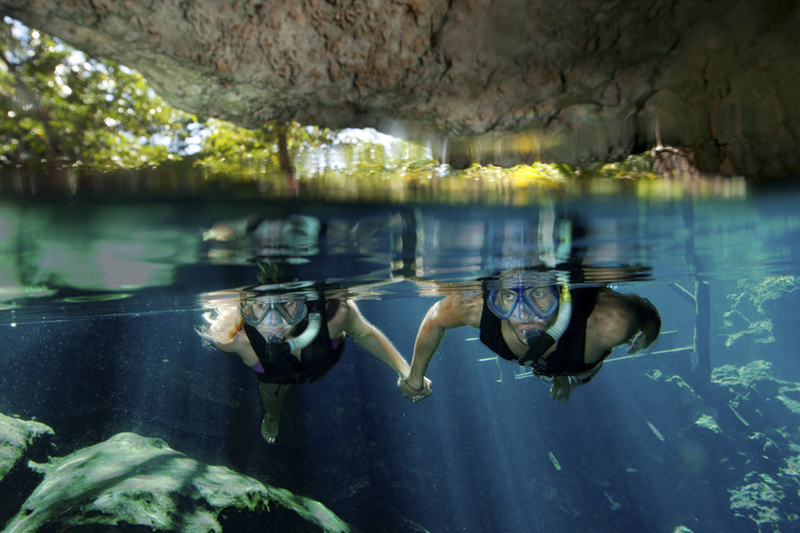 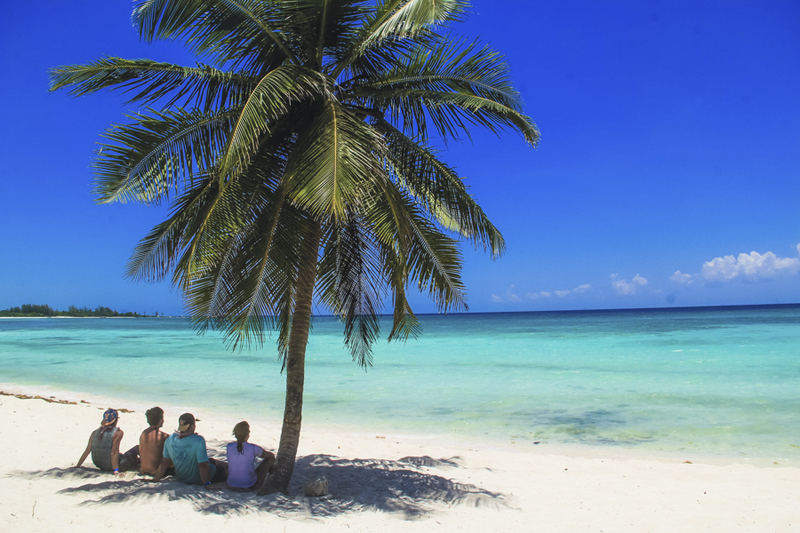 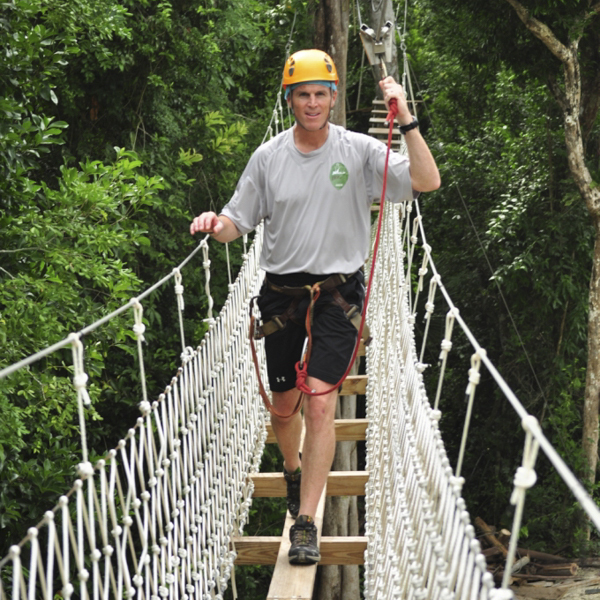 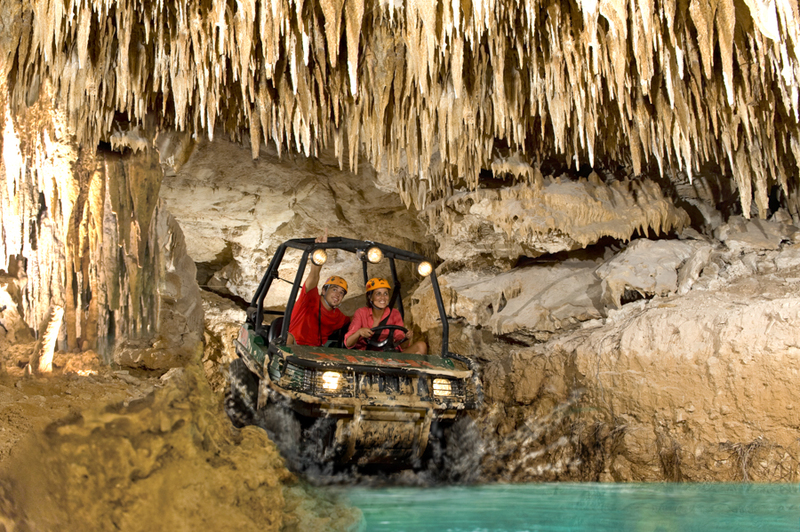 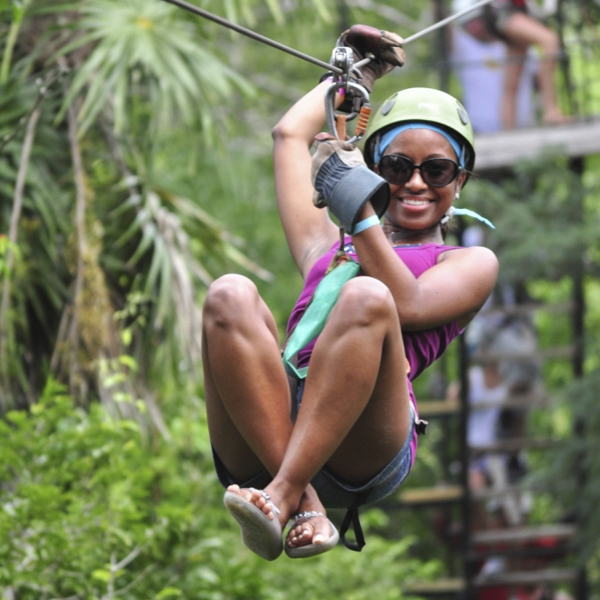 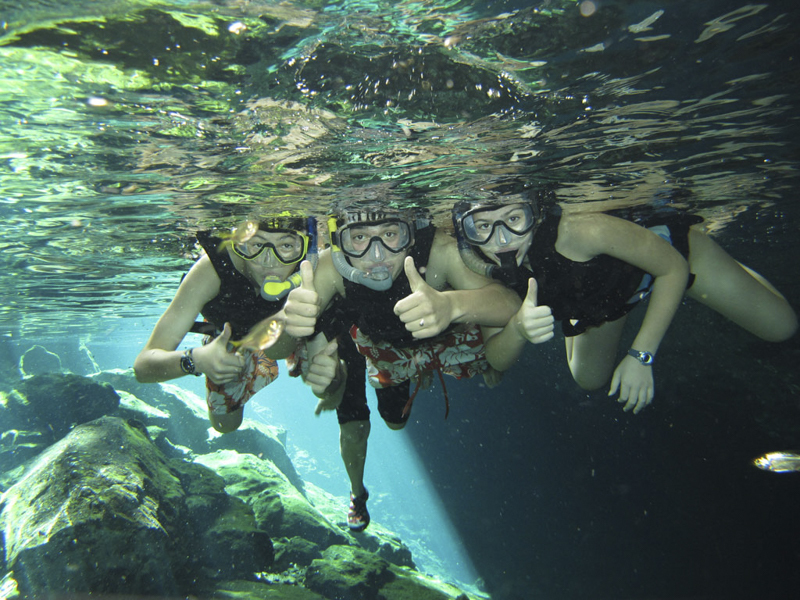 Take time to discover Xplor, perfect for adventure lovers of all ages! 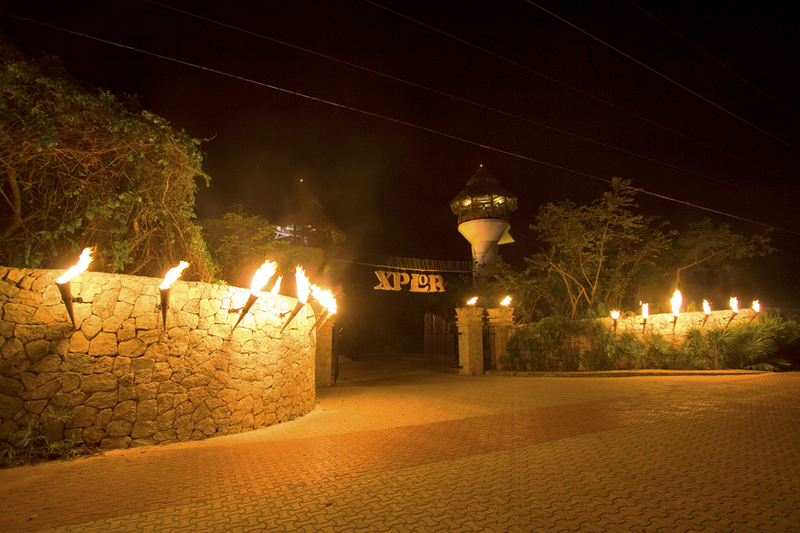 Xplor Fuego is a tour that takes you back to the beginning, to the creation of fire, a world when man had to truly use his instincts. 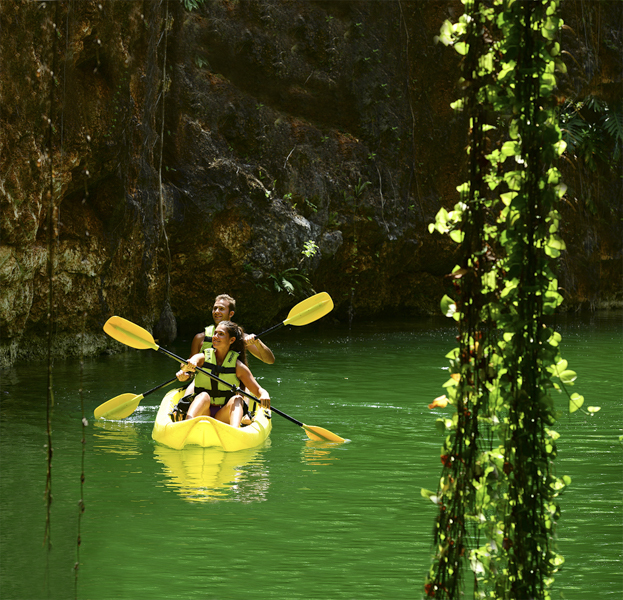 It’s a journey back to the simple life, with activities that allow you to rediscover a starry sky and the wildest side of the jungle, to feel the darkness and experience your most primitive side. 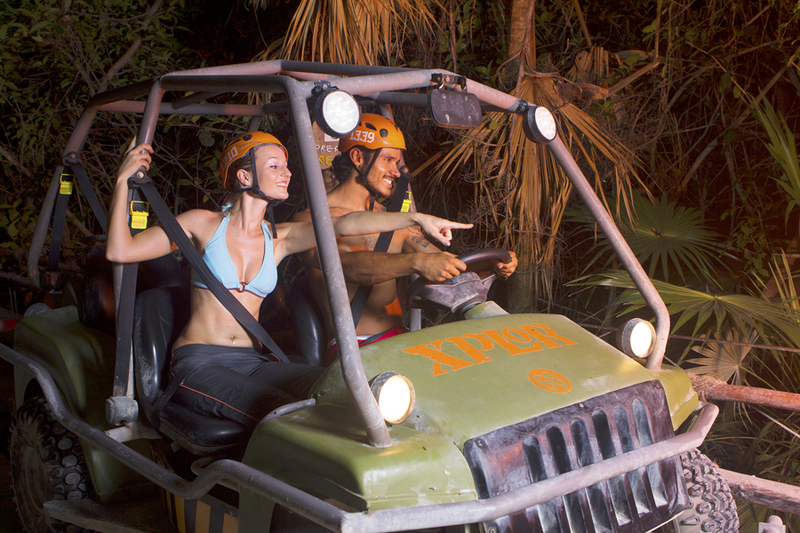 The jungle comes alive at night with the Xplor Fuego Tour, where torches light the way to a unique adventure that rouses the most primitive side of all those who dare. 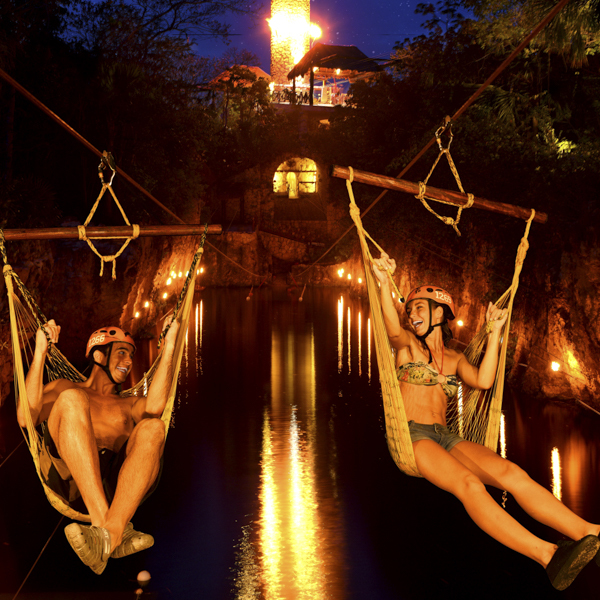 Let yourself be dazzled by the lights and ambiance of the zip-line towers, where the jungle is softly lit by torches, bonfires and fireflies. 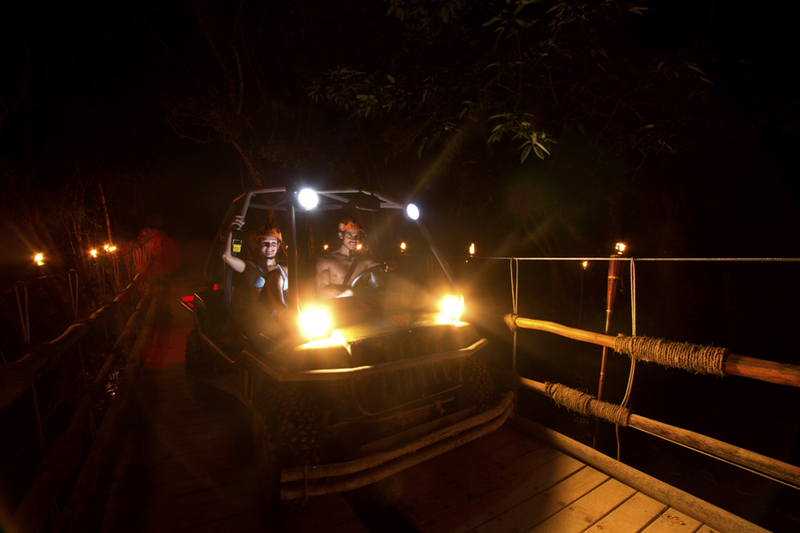 The sounds of the jungle will awaken your senses and keep you alert so you can enter a new world filled with adventure, where the night and fire will be your best companions. 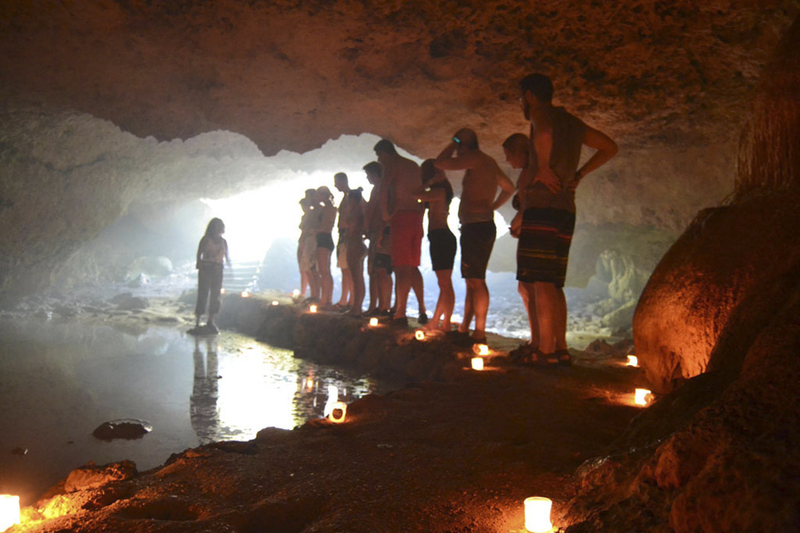 Journey deep into the darkness of the jungle and plunge into the refreshing waters of an underground river, gaze into the blazes that will stir up your inner fire, share time and space with the nocturnal creatures and let the moonlight and the stars guide your way in the shadows. 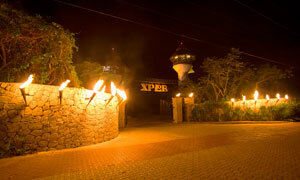 Follow your instincts and brace yourself because the night is dark and full of mysteries that await." 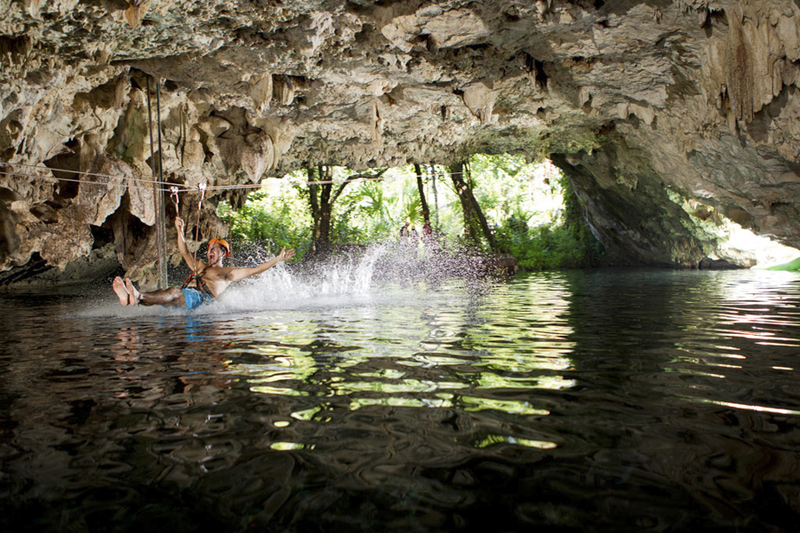 Enter into an amazing cenote system, the world´s longest underground river explored and recommended by National Geographic Snorkeler, specialized cave divers. 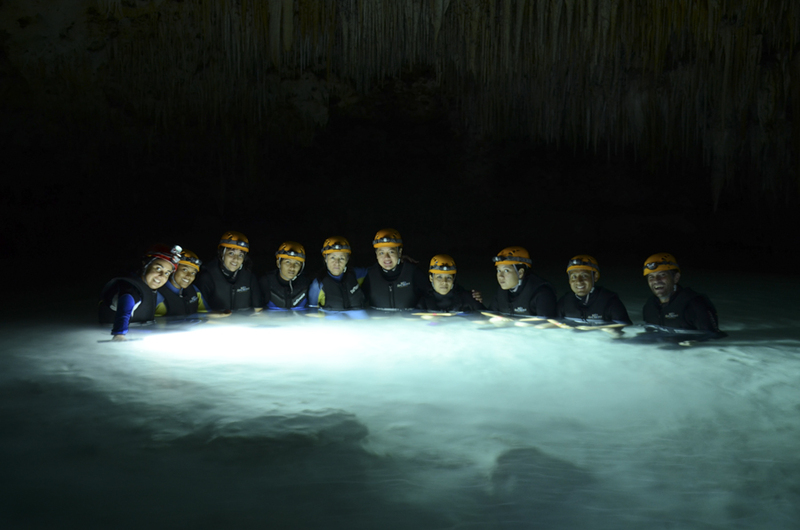 Snorkel in the Nohoch Nah Chiich cavern, surrounded by awesome rock formations and millenary stalactites and stalagmites. 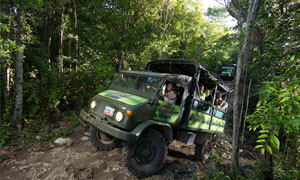 Ride through the exuberant rain forest on our all-terrain Mercedes Benz Unimogs. 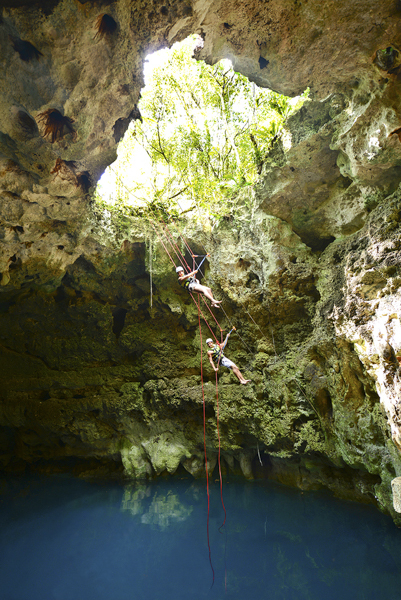 Live a great experience rappelling into a beautiful cenote and swim in Yaxmuul, a unique natural pool. 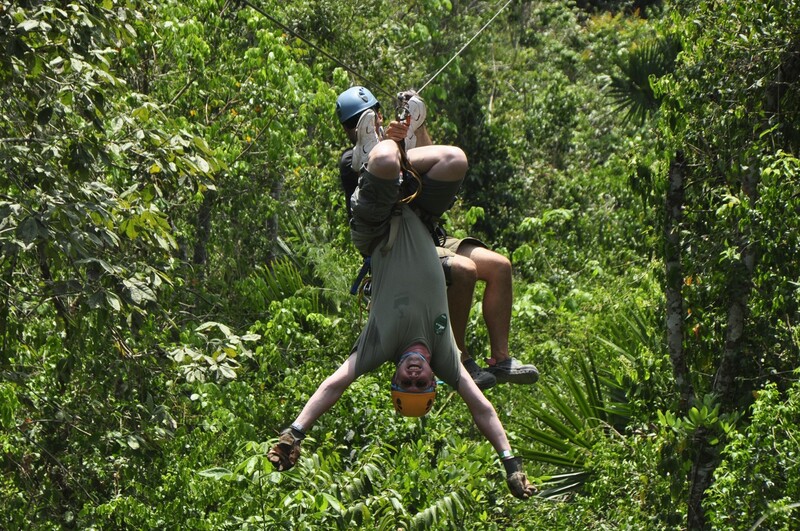 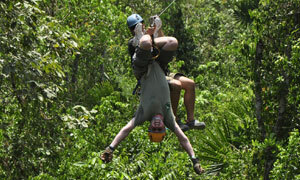 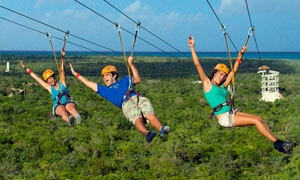 Enjoy nature and fly over the jungle’s foliage on exciting zip-lines. 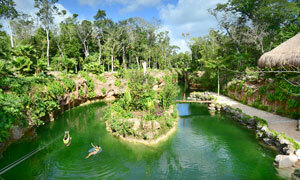 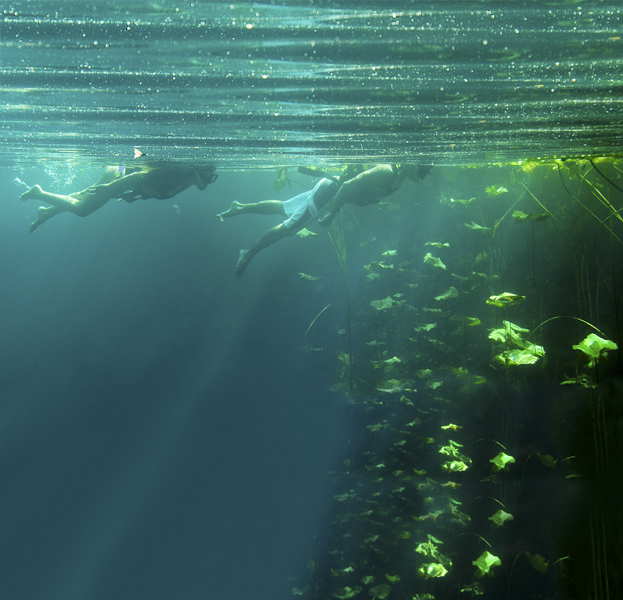 Discover a mystic cenote where you will participate in a traditional Maya purification ceremony. 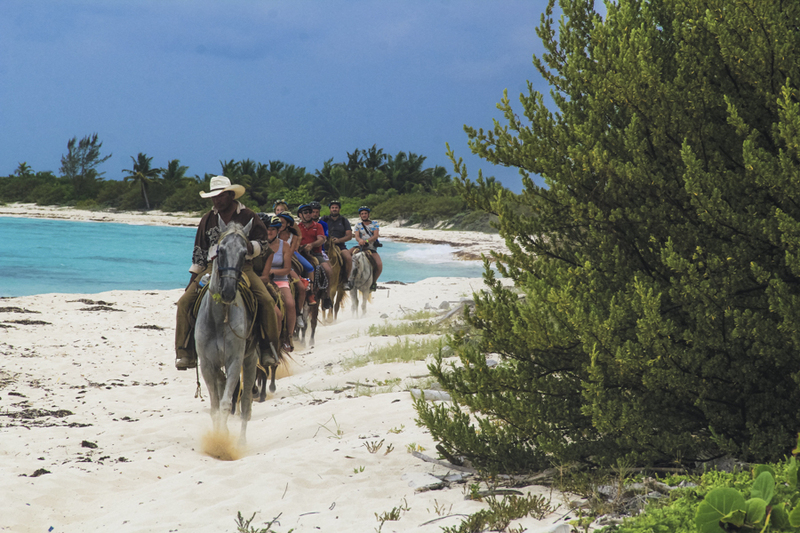 Specialized tour guides are fully bilingual. 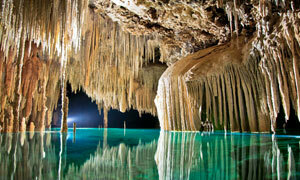 Mexico reveals its newly-discovered underground river: Very few places in the world boast conditions that make it possible to witness the extraordinary beauty of an underground river. 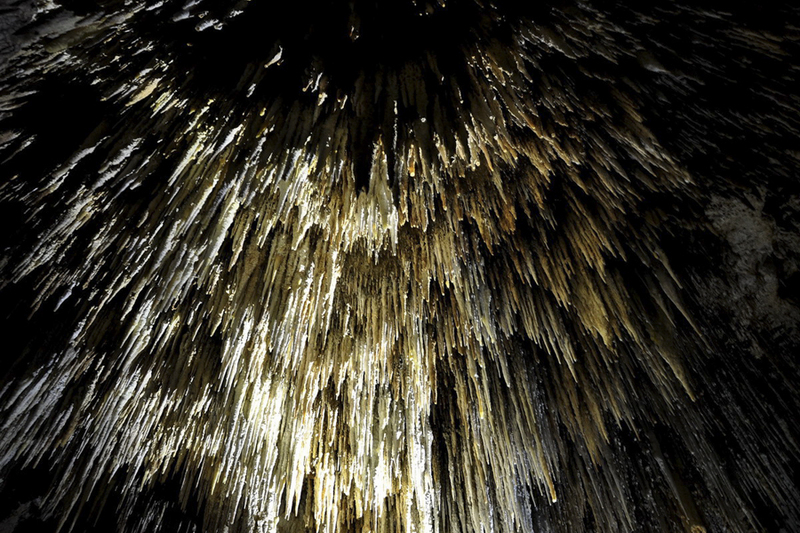 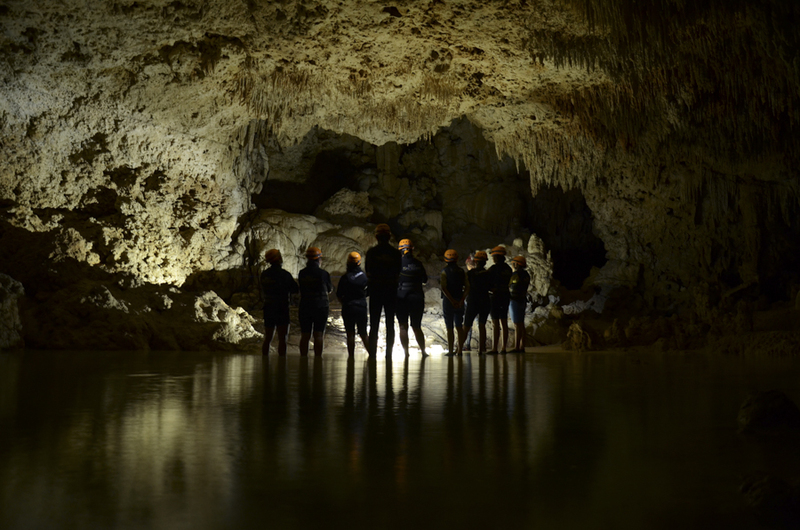 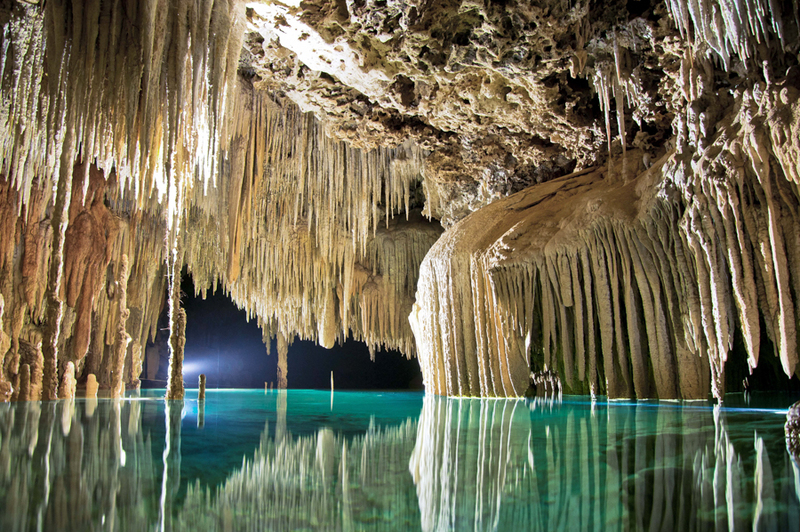 Rio Secreto is a fantastic journey into a unique system of underground rivers and ancient caverns that reveals both the astonishing interaction of time within the interior of our planet and the miraculous existence of our lives. 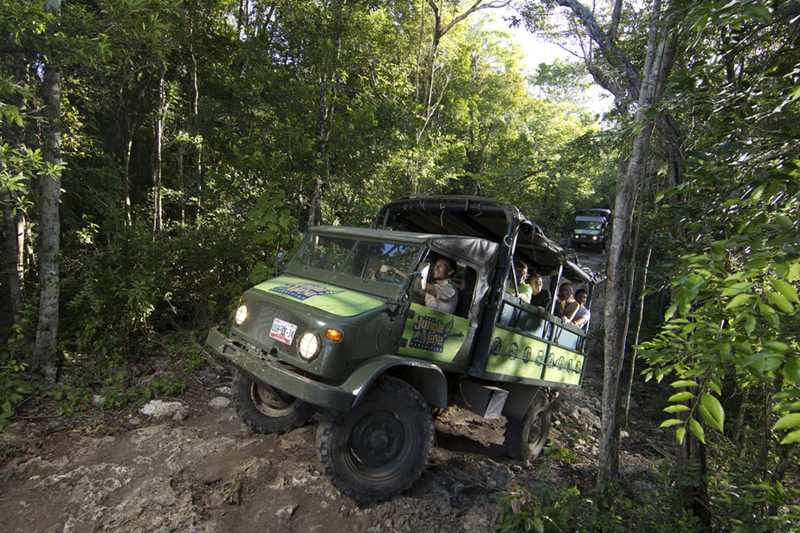 Live a great experience in Punta Venado Caribbean EcoPark, ride a HORSE for a walk around the bay; go deep into the rainforest aboard an ATV and continue on the natural trail on a path of small sandy dunes to a beautiful cenote for a swim in its clear and fresh water, cross the open sea on a powerful WAVE RUNNER and SNORKEL in the shallow reef with gentle currents to discover our amazing underwater world. 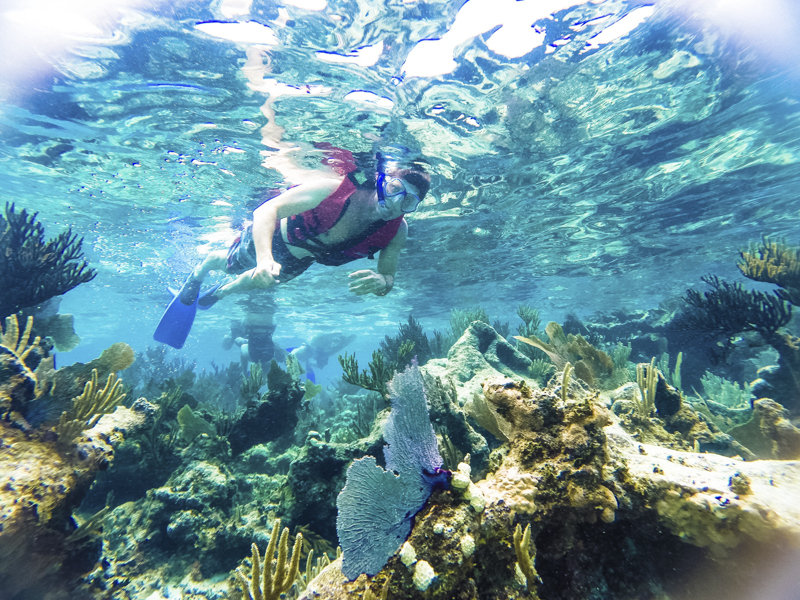 Here it is possible to appreciate the most colorful variety of fish, sea urchins, corals and other species. 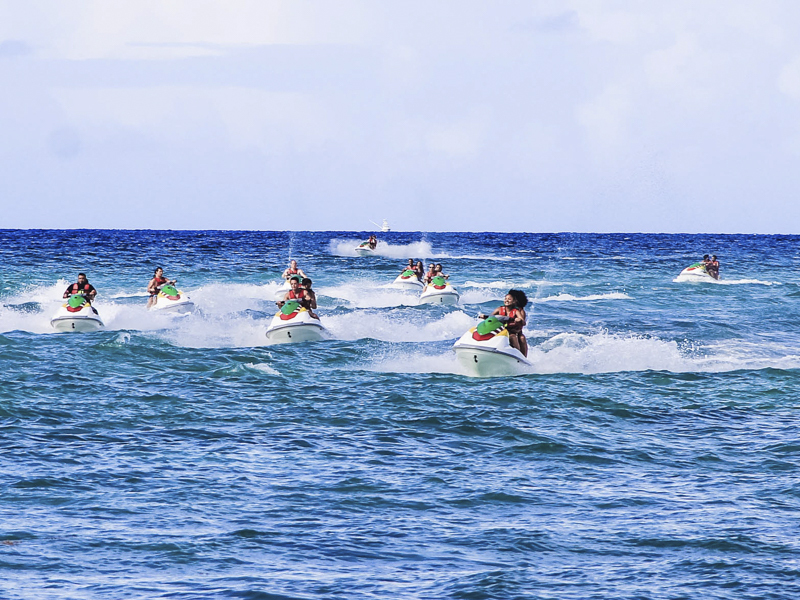 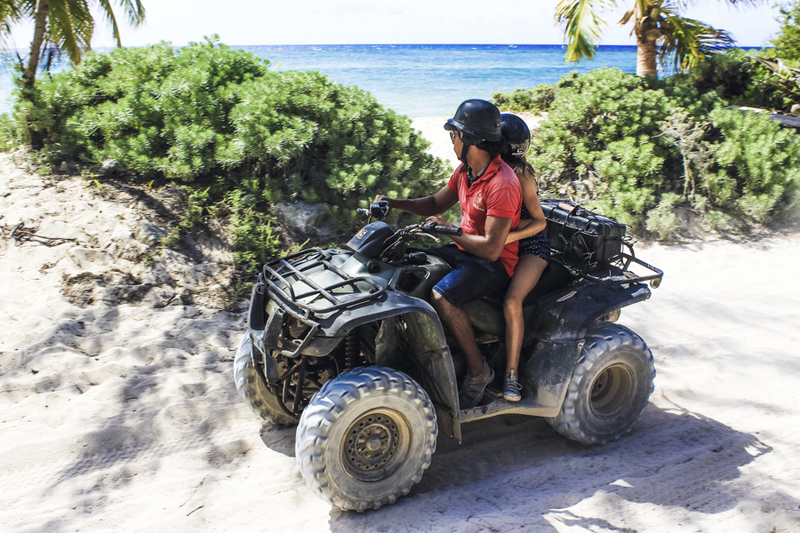 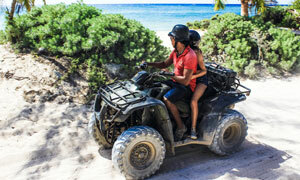 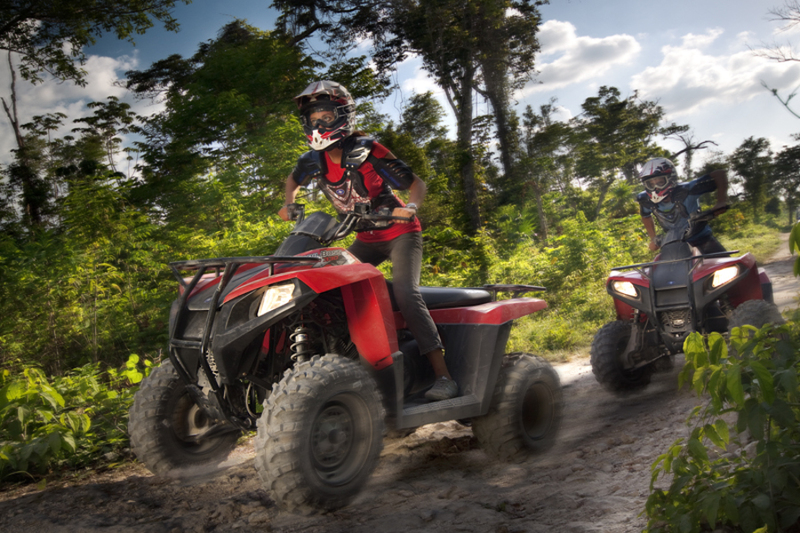 Minimum age to drive the ATV and Wave Runners is 16 years old.